[0:05] <supersmilers> I think I installed Kodi on raspbian the wrong way. [0:07] <Xark> supersmilers: 720pi? I have never seen that, only 720p. [0:10] <Xark> supersmilers: So why not use 1080p? [0:11] <Xark> If your cable can do 1080i it should have the bandwidth to do 720p AFAIK. [0:12] <Xark> hakermania: Same as any other Linux, I believe. [0:13] <Xark> supersmilers: Pretty sure there is an overscan adjustment option. [0:14] <Xark> hakermania: I see. Not sure. You probably already saw https://raspberrypi.stackexchange.com/questions/27615/how-can-i-install-php5-readline-in-raspbian . Perhaps see if it is in Jessie? [0:15] <supersmilers> I disabled overscan because there's isn't GUI tool for overscan like in videogames where you can resize the smart area. [0:15] <hakermania> Xark, do you mean to change my sources.list to include jessie pkgs? [0:15] <Xark> hakermania: Well, if it is in Jessie, you can do a full dist-upgrade. [0:17] <Xark> hakermania: You do have to add one line to sources to get Jessie. I did it and it works quite nicely. [0:18] <tawr> but, it only works for the rpi2, what compile options do i need to make it work for the previous pi's? [0:22] * Xark recently had his get messed up (the updates were very confused because I did not have a "pi" user). [0:26] <supersmilers> Why OSMC have weird boot screen (the OSMC logo is tilted so much that I don't get normal pic) but the Menu and UI is fine. [0:28] <supersmilers> I guess. Why wouldn't it boot to 1080i upon detecting that my HDTV supports 1080i? [0:29] <Xark> supersmilers: Weren't you just saying you set it to 720? [0:33] <supersmilers> is there a way to fix that? [0:35] <Xark> Probably. Have you looked in system options/preferences? [0:37] <Froolap> yes, to be confusing. [0:37] <Froolap> have you checked your tv's edid? [0:39] <supersmilers> I checked it and it detected up to 1080i 30fps in edid but raspbian never give it in display options only "1368 x something". [0:39] <Froolap> with the pi, it is important that the monitor be powered up before the pi is. geez, that takes me back to the 1980's when you had to power up the floppy, then power up the printer, then power up the modem then power up the computer, in that order of things weren't recognized. [0:41] <supersmilers> and my HDTV doesn't even support cec maybe that why? [0:44] <supersmilers> I think the HDTV gives out generic edid instead of unique one. [0:45] <Froolap> the edid will tell you what display modes are supported and may give you more information than what's included in the manual. [0:45] <Froolap> it may also indicate what modes are supported with the current connection. [0:46] <supersmilers> maybe. I could try again. But what's the proper way to regenerate edid.dat with the one from the HDTV? [0:46] <Stanto> Else you're making your own EDID and passing it to the kernel. [0:56] <Froolap> yeah, the package is avsilable for fedora. at least you have a package name to look for. [1:08] <ShorTie> oh, your pi doesn't use linux ?? [1:12] <supersmilers> oh like using raspbian then use the script? [1:12] <tawr> so you have the pi running raspbian, and use that to build the debian image. which is saved as a file. then you'd copy that over, and burn it to a different (r same) sd card. [1:13] <supersmilers> wait. If that's the case. then can it overwrite one SD card? [1:15] <supersmilers> can I just load up the OS and change sdcard during the progress and write it to the second one? like floppies could? [1:16] <tawr> boot the pi normally on raspbian. you build the debian image. it gets saved as a single file. just like the one you burned on the sd card originally. it's saved on the rpi's sd card, in your home directory. you would then copy that to your windows computer, save it on a pen drive, put it on dropbox.. whatever. [1:16] <tawr> then use that image to burn another sd card like you originally did in the first place. [1:17] <supersmilers> oh. it saves it in the fat partition? [1:17] <ShorTie> you got 2 sdcards and a usb adapter ?? [1:21] <supersmilers> you mean like putty? [1:27] <supersmilers> I just use the Pi's ip address and SFTP works like SSH? [1:31] <supersmilers> root? isn't the password the same as pi? [1:35] * Xark notes FileZilla also is very easy to use for SCP (and much faster over faster link). [2:11] <supersmilers> anyone know how? [2:15] <supersmilers> ShorTie, How I do the script? [2:18] <supersmilers> I couldn't run the script on my pi. [2:28] <supersmilers> great. I have no idea how do I do this. [2:52] <supersmilers> any other ideas? [2:53] <supersmilers> Am I the only one talking here? [2:55] <supersmilers> ok. I guess I got no help here. I'm a little impatient. [3:00] <Froolap> I don't know what pi os.sh is. [3:02] <HotCoder> where my bros at? [3:03] <Froolap> it's like saying you want a tornado in the middle of the lake. I'm sorry but it's called a water spout, not a tornado though the weather otherwise is exactly the same. [3:04] <Froolap> it's not going to have debians official repo because things compiled to run on x86 cpu will not run under arm kernel. [3:04] <supersmilers> but it doesn't have all packages available. [3:04] <Froolap> but if you want to install things that won't work you are free to add the repo. [3:05] <Froolap> no, not everything will run on arm, and even some things that will run on arm are not desirable to have on arm. [3:06] <Froolap> you didn't buy a desltop, you bought a learning/project computer. you can't expect it to be a desktop full system, even if some screen rather look like one. [3:06] <supersmilers> the reason I'm asking because I wanted a OS where I can organize my video library and have firefox clone installed. [3:08] <supersmilers> I mean like GUI like kodi does. [3:08] <Froolap> maybe you should have bought a laptop instead. [3:09] <Froolap> and heave help you when kodi comes out with a new version that doesn't look the same. [3:10] <Froolap> yeah, you can do that, but maybe not exactly the way you want to, you might have to settle for what works instead. [3:11] <supersmilers> yea. Its little odd that kodi don't work as smooth on pi as it does on my tablet. [3:12] <Froolap> and if you would try other tools then you might decide that you like them even better once you take the time to learn them. [3:16] <Froolap> I'm about 90% convinced he's a troll anyways. [3:16] <Froolap> there's options, he doesn't want to consider. [3:17] <Froolap> you mean this time? the last time, or the time before? [3:20] <plugwash> <Froolap> it's not going to have debians official repo because things compiled to run on x86 cpu will not run under arm kernel. [3:20] <plugwash> You do known debian's official repo covers a lot more than just x86 right?! [3:30] <Froolap> then you go help them, you can find them in #kodi. People have been trying to help him with the same thing for 3 days. [3:34] <Froolap> You can attack me all you like for doing my best to be helpful, that doesn't mean you can inspire me to care. [3:36] <Muchoz> should receive a media stream from my desktop/laptop sent from VLC. [3:37] <Muchoz> I was even thinking about integrating it into Slack. 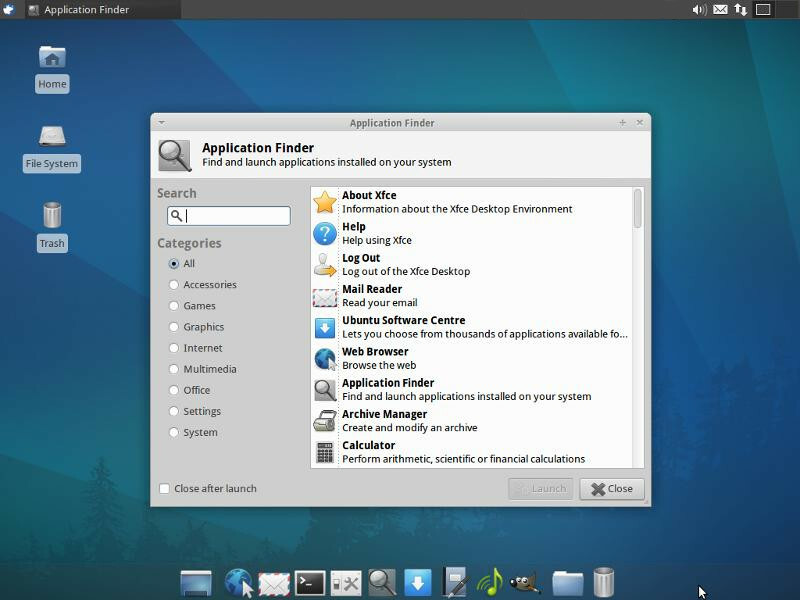 [5:02] <ThinkingofPython> Is XFCE4 an entirely new OS, or just a desktop environment? [8:19] <sgo11> hi, I am new to the pi. I just bought pi2. I did "sudo shutdown -hP now" to shutdown the system. and then, after unplug and plug the power again. the system will never boot anymore. why? is this normal? [8:20] <tawr> so it won't turn on? [8:20] <Xark> sgo11: Does it try to boot? What is the last thing seen on screen? [8:20] <sgo11> tawr, the light is on. but I can not see any displays in hdmi monitor. I have no idea what's happening. [8:21] <sgo11> tawr, after "sudo shutdown -hP now". the system is just off. screen is off. [8:21] <sgo11> tawr, after unplug and plug the power again. nothing happens in the monitor. the lights are on. one red and one green. [8:26] <sgo11> tawr, after I took off the sd card and unplugin the power source. And then insert the sd card again and plug the power source. it seems working. weird. I will try to reproduce this again. [8:32] <sgo11> tawr, I can not reproduce this anymore. the system always boots after this. [8:33] <sgo11> is that possible that I purchased a fake pi? can I verify serial number or something on official website? [8:33] <shauno> do you have any powered usb devices? [8:34] <sgo11> tawr, I always follows the right procedure. I am new to pi but not new to linux. so. this is weird. [8:34] <sgo11> shauno, one wireless usb card. [8:35] <sgo11> shauno, sorry, I don't really follow you. I did connect usb wireless card directly to the pi. nothing else. no usb hub. [8:39] <sgo11> tawr, yeah, I knew that. I read that before purchasing my pi. there is no usb hub at all. [8:40] <tawr> since the pi never completely 'shut off' since it always had power (backfed and through the micro port). [8:40] <tawr> since shutdown -hp now shuts it down completely, and won't turn back on until you pull the power, then repower it. [8:41] <sgo11> well. that is not my case. I don't have a usb hub. I also moved the pi from one room to another. [8:44] <sgo11> tawr, in the failed attempt, the system is not trying to boot at all. there is one difference. when it's working, the red light is on and the green light is flashing. when it fails to boot, the red light and the green light are both on. green light is not flashing at all. [11:19] <ShorTie> did it break ?? [11:55] <sgo11> hi, I have setup my pi to use static ip in wlan0 interface. this is the configuration (including ifconfig -a output): http://hastebin.com/unegiwohex.sm it works. BUT in my router, I can see the dhcp server still assigns another ip address which is 192.168.1.149 to my wlan0. This is weird. I have two ip addresses for my wlan0 card. how is that possible and how to fix this? thanks. [12:02] <ffffee_m> emulating raspi in qemu in ubuntu 14.04. any hint to get full network-support? [12:02] <sgo11> Encrypt, where to set a DHCP lease? in the pi or in the router? What exactly is that? thanks. [12:03] <sgo11> ShorTie, thanks. that will work. but I am trying to untouch the router. [12:03] <sgo11> Encrypt, ok.. I am trying to untouch the router. is that possible to fix this issue in the pi? I am using static ip, why the pi still queries dhcp ip address? this does not make sense to me. [12:05] <sgo11> Encrypt, hm... I thought the router would only assign an IP to a client only if the client is running dhcp client and querying for the ip address. not true? [12:08] <Encrypt> sgo11, What is your router? [12:08] <sgo11> Encrypt, what do you mean by it was running the DHCP client before? I setup the static ip directly without using dhcp at all. do you mean dhcp client is always running before the static ip gets called in debian? [12:09] <sgo11> Encrypt, I dd the img to sd card. and then mount the partition and setup static ip. Then insert the sd card to my pi. In this way, the static ip is setup initially. [12:40] <Fooman2011> Hello I have to design a box to put a raspberrypi and other boards. I will print this box in 3D. But I need advices to think about a system to allow close/open this box multiple times. If I use screws directly in the plastic, I think that this will not work a lot of times. Any advices ? [12:42] <ffffee_m> a rubber-band around it? [12:49] <Fooman2011> how that: "turning them backward" ? [12:51] <Fooman2011> And un-screwing it ? [13:18] <niston> thats so 1984ish! [13:26] <ThinkingofPython> XFCE4 is quite good looking, just wondering if it'd work. [13:27] <ThinkingofPython> So, that guide will work? [13:49] <Tenkawa> any of you gotten the rpi-4.0.y branch to boot up yet? [13:57] <Froolap> I'll alert the media. [14:12] <ffffee_m> rpi2 on qemu? [14:15] <MY123> Tenkawa, mainline or RPF? [14:15] <MY123> ffffee_m, for what SW? [14:17] <Tenkawa> will the rpi2 work with a mainlie 4 kernel with those things ? [14:20] <Tenkawa> yeah.. whats considered dev on the rpi2 right now? [14:25] <Froolap> I'm dizzy and confused. [14:27] <ThinkingofPython> Seems like the Pi drained my lapdock battery even though power wasnt connected. [14:28] <ThinkingofPython> Pi2 doesn't have backfeed, right? [14:29] <ThinkingofPython> Alright, will do in the future. [14:30] <Tenkawa> full drain.. full charge without using? [14:30] <[Saint]> There's no need to do that. [14:32] <ThinkingofPython> Why call it a winbook? [14:32] <Tenkawa> ThinkingofPython: because its from the brand called "Winbook"
[14:35] <ThinkingofPython> So am using the Lapdock + pi2 as my main "luggable"
[14:35] <Froolap> I hate touch screens, I hate fingerprints on my monitor. [14:35] <ThinkingofPython> My123, it was free. [14:36] <ThinkingofPython> Can still run new-ish games (2013 and older) pretty well. [14:36] <MY123> ThinkingofPython, Can it work well on a 4K display? [14:37] <ThinkingofPython> 1080p is fine. [14:37] <Tenkawa> MY123: its a notebook.. why bother? [14:38] <ThinkingofPython> I make okay money here, but it all goes to Uni. I cant afford a new PC, so no point on buying a laptop that does 4k lololol. Would rather buy a desktop that is much better for much cheaper in the future. [14:39] <[Saint]> Sell a kidney. [14:40] <[Saint]> You'll have one left..and if that fails, you'll already have a contact in the black market organ trade. [14:40] <[Saint]> Its win win. [14:41] <Tenkawa> should i try to boot this mainline 4.0.3 kernel i just compiled? [14:45] <[Saint]> Lots of then around my house right now. All around the lights outside, tapping on the windows and getting stuck in the screens. [14:52] <Froolap> 4 what? golf? [15:01] <Froolap> is it contagious? [15:23] <ThinkingofPython> I like Python. [15:40] <Tenkawa> why is it evil? [15:41] <niston> Tenkawa: is there an IRC client for it? [15:42] <SpeedEvil> Not all languages are compiled. [15:48] <Froolap> ah, yes maybe my rpi2 deserves to have 2 hard drives. [16:15] <The_Borg> I am making a bottle.py 8 channel relay controller and I need the the web functionality of firefox but i cant find a firefox version that runs on rpi 2 so im using chrome which is very modern I dont like modern is there other solutions for me? [16:35] <Bilby> <The_Borg> I am making a bottle.py 8 channel relay controller and I need the the web functionality of firefox but i cant find a firefox version that runs on rpi 2 so im using chrome which is very modern I dont like modern is there other solutions for me? [16:36] <Sonny_Jim> Punctuaction is futile! [16:37] <k_j> out of my curiosity,what are the most popular rpi2 alternatives at the moment? odroid? [16:38] <k_j> are they working on android for rpi2? [16:55] <Froolap> course I don't use raspbarian either. [16:57] <Froolap> The_Borg: which os are you running on your pi2b? [16:59] <Bilby> I keep trying to get this place to try using Pi2s but they have a bunch of old PC hardware and they're cheap / broke. [16:59] <Bilby> tl;dr nonprofits aren't profitable to do work for. irony! [17:00] <Berg> +o stands for orifice? [17:02] <blonkel> http://pastebin.com/d6amMMgf any idears how to solve this issue? [17:07] <Froolap> The_Borg: which os? raspbarian? noobs? [17:08] <Froolap> never heard of it. [17:09] <Bilby> maybe yank all the CSS and see how it runs in chromium? [17:11] <Froolap> you can't apt-get firefox on the pi2? [17:13] <[Saint]> Ubuntu on the Pi2 is Snappy. [17:16] <Froolap> I wonder why. [17:17] <The_Borg> do sliders show correctly on lynx? [17:18] <The_Borg> any other suggestions? [17:19] <[Saint]> The pi just can't really cut it as a full featured browser. [17:20] <Froolap> you didn't specify.... too late. I got my suggestion in. [17:21] <[Saint]> What's wrong with Chrome? [17:21] <The_Borg> do people realy install windows OS on raspbery pi? [17:21] <[Saint]> Chromium is...meh. I quite like Chrome. [17:21] <Froolap> It's shiney and hurts my eyes until it gets some rust. [17:26] <The_Borg> ever use facebook? [17:27] <Bilby> for your application, why not just use webiopi and code a basic front end? [17:28] <The_Borg> you do know resitance is futile??? [17:31] <Bilby> you get the benefit of lots of nicely integrated software that works cross-platform, google gets lots of metadata about you. [17:31] <Bilby> you don't think every other company out there already does this? [17:31] <ThinkingofPython> really? How well? [17:32] <ThinkingofPython> Ah, what happens if no X usb driver? [17:33] <The_Borg> how big is win10 os in hard drive space used? [17:34] <ThinkingofPython> MY123, do you have a link? [17:34] <ThinkingofPython> Id like to read up on how to get Win RT on the Pi2. [17:35] <Sonny_Jim> Why was it removed? [17:36] <ThinkingofPython> And how well does it work with RT apps? [17:36] <Sonny_Jim> Was it about disabling/bypassing UEFI or something? [17:37] <ThinkingofPython> Could you re-host the instructions somewhere? Maybe reddit? [17:37] <MY123> ThinkingofPython, where is that? [17:37] <Sonny_Jim> I'm just curious why it got removed, what was the discussion about? [17:39] <ThinkingofPython> MY123 will you post instructions there? [17:40] <ThinkingofPython> You can just use a name, fake email and pass with reddit. [17:40] <MY123> ThinkingofPython, do you need something for real use or PoCs? [17:42] <ThinkingofPython> Whats a PoC? [17:42] <MY123> ThinkingofPython, do you know how to use DISM? [17:45] <ThinkingofPython> Can you provide instructions in a paste? That way I can find the RT image, and such. [17:47] <ThinkingofPython> MY123, can you go to www.paste2.org and put the instructions there, Im on my phone. [17:47] <ThinkingofPython> and maybe provide a link to RT? [17:49] <ThinkingofPython> Pasting the instructions onto paste.org will be fine. Hosting the files online could be grey area, but it's in the name of science! [17:53] <ThinkingofPython> Is that all of the instructions, MY123? [17:53] <ThinkingofPython> Or is there more? [17:54] <ThinkingofPython> MY123 is there more instructions? [17:54] <ThinkingofPython> I dont have an RT tablet. [17:57] <niston> so to all software devs: stop that nonsense! now! [18:00] <Berg> so your new smart fone always makes you have3 a vertical head to read screen ...what about if you wona lay down in bed? [18:01] <Berg> niston: your talkin about change for the sake of i can do it change and then i get my name in the coders list? [18:07] <Berg> why do you want to program the pi with a arduino? [18:09] <Berg> what language are you using on the pi? [18:16] <sgo11> hi, I ssh into my raspi. how can I make it display non-english utf-8 chars? I did install the required ttf fonts. I don't have such problem in my ubuntu. this is just weird. the terminal can not display any non-english chars. [18:21] <Coded1> sgo11, have you tried "sudo dpkg-reconfigure tzdata" ? [18:23] <sgo11> my locale is set to en_US.UTF-8 which is the same to my ubuntu system. there is no issue in my ubuntu system. thus, there should be no problem in raspibian. [18:24] <Coded1> did you set your terminal emulator for your locale? [18:25] <sgo11> Coded1, I am using ssh. [18:28] <Sonny_Jim> Is the problem not with your SSH client? [18:28] <sgo11> Coded1, does it work in your raspi? [18:28] <sgo11> Sonny_Jim, I am using ssh in ubuntu. it shouldn't be a problem. [18:28] <Sonny_Jim> Yes, but how? [18:28] <Sonny_Jim> In the console, through xterm? [18:31] <Sonny_Jim> what does "echo $TERM" report? [18:31] <ThinkingofPython> sg011, you are chinese? [18:32] <sgo11> Sonny_Jim, where to run that command? in my ubuntu or in ssh session to my raspi. [18:32] <sgo11> ThinkingofPython, yeah, I am Chinese. [18:33] <sgo11> Sonny_Jim, it shows "xterm" in ssh session. [18:33] <ThinkingofPython> Where are you located? I wish I could help you, but I just got my pi2 last week. Havent SShed yet. [18:33] <sgo11> Coded1, that's weird then. I am using standard raspbian image too. I have two raspis here. and both have the same issue. [18:34] <sgo11> ThinkingofPython, hebei province. [18:34] <ThinkingofPython> ah nice place! [18:34] <sgo11> Coded1, this is just weird. I don't understand why it doesn't work. [18:36] <Froolap> maybe I'm stupid..... but.... <sgo11> my locale is set to en_US.UTF-8 wouldn't the en be english and need to be changed for your language? [18:36] <sgo11> Froolap, no. that's not required. all my ubuntu system is using en_US.UTF-8 which displays Chinese fonts fine. they are all just UTF-8 chars. [18:37] <Froolap> maybe the font just needs to be installed then. [18:40] <The_Borg> what terminal program is on ubuntu and on rasbarian? [19:39] <ThinkingofPython> So, anyone try Windows RT on Pi2? [19:39] <Bilby> the only problem with that is, chrome kiosk doesn't allow for tabbing which is kinda important. hrm. [19:53] <sgo11> the problem is finally fixed. [19:54] <Froolap> I don't have MY123 installed on my system. [20:00] <niston> thats the guy with the portable playstations, xboxes and such? [20:00] <ThinkingofPython> Yes, Benheck is. [20:03] <sgo11> Coded1, Sonny_Jim, I fixed it. To fix the utf-8/locale problem, I simply need to remove the line "#AcceptEnv LANG LC_*" from /etc/ssh/sshd_config in raspi. Some online articles mention this problem happens a lot when a newer system tries to ssh to an older system. I always use ubuntu (my favorite os) which is newer than the raspbian OS. Thus the problem happens. To fix it, simply disallow ssh server in raspbian accept env variables from clients. [20:05] <sgo11> Coded1, it took lots of googling to find out the real problem is. maybe that's why PUTTY in windows don't have this issue. PUTTY might be considered as an older system. [20:05] <ThinkingofPython> sgo11, you have a VPN? [20:07] <sgo11> ThinkingofPython, not really. are you wondering why I can google here? [20:08] <sgo11> ThinkingofPython, I am using shadowsocks right now. I used to using ssh tunneling, but it doesn't work well recently. so I switch to shadowsocks. basically the same thing. buy a server and create an encrypted tunnel. [20:10] <Froolap> maybe I should get something to eat. [20:10] <sgo11> ThinkingofPython, yeah. a VPS. it's very cheap. buy one in digital ocean or linode. about $5 per month. [20:12] <sgo11> ThinkingofPython, linode just gave me $50 credit through email to ask me to go back to use their service. I switched from linode to DO. [20:14] <sgo11> ThinkingofPython, actually digitalocean has already given me about $100 credit. [20:15] <sgo11> ThinkingofPython, $5 per month is very cheap. you should buy one. without google, it's a nightmare. [20:16] <ThinkingofPython> coded1 is it fast enough? [20:17] <sgo11> ThinkingofPython, yeah, you have to try and download a test file by yourself. network in this country is weird. it's fast in one ISP which doesn't mean it's fast in another ISP. that's why I have three VPS in different countries. [20:18] <Coded1> if you check the middle of that page I pasted ^^^ above under "Network Information"
[20:18] <sgo11> ThinkingofPython, I have one in US, one in England, one in Singapore. Because I have my office and home use different ISPs. [20:21] <ThinkingofPython> How's it work? Pretty well? [20:22] <Froolap> is that bandwidth or storage? [20:25] <sgo11> ThinkingofPython, ok. I can share one server with you. just keep the password by yourself. [20:54] <niston> anyone know of a free mailing list provider that will allow me to run a closed 5 subscriber list? [20:54] <Bilby> doesn't mailchimp have a free tier? [20:55] <niston> for closed lists? [21:01] <xxValiumxx> cant you just Bcc each of them? [21:02] <Kryczek> you mean Cc? [21:04] <xxValiumxx> oh derp, THAT kind of mailing list. [21:04] <Kryczek> what other kind of mailing list is there? [21:04] <xxValiumxx> literally, a list of people you send mail to. [21:05] <Froolap> almost done writing 1 to my drive. [21:25] <linuxthefish> does the rpi vary it's power draw depending on what it's plugged into? [21:40] <lj300> cehteh: with dropbox ? [21:51] <Froolap> set up an ftp server and be done with it. [21:52] <Jusii> does dropbox support webdav? [22:06] <xxValiumxx> a few others, but I can't remember them. [22:06] <xxValiumxx> HEAD is like GET, but only returns the header. [22:25] <ShorTie> does it let the magic smoke out ?? [22:43] <ShorTie> clean your glasses ?? [22:53] <ali1234> why don't you just use a normal kernel?